Necklace measures 16" long with 2" of additional adjusting links. 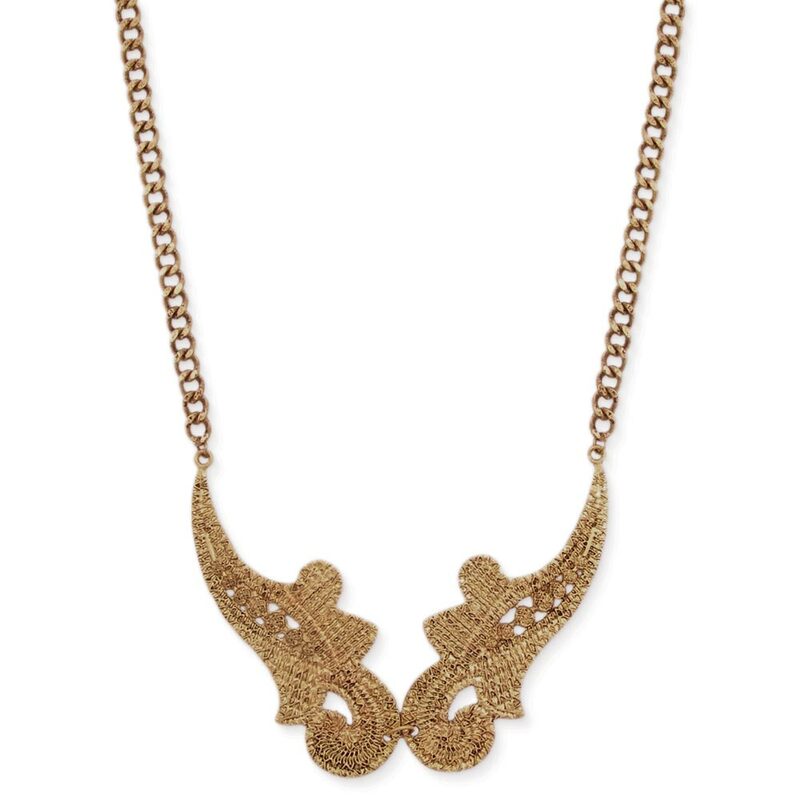 Features large gold metal link chain with 3" lace print metal scroll bib. Closes with lobster clasp.